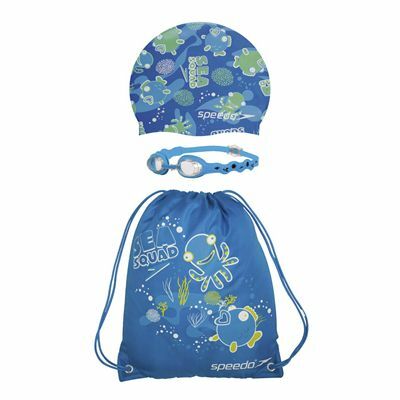 The Speedo Sea Squad Pool pack is perfect for children between 2 and 6 years of age. It features a colourful Sea Squad character pattern and includes a wet kit bag, swimming goggles and a silicone swimming cap. To make sure the goggles can accommodate different face shapes, they are offered with an adjustable nose bridge and easy to adjust back clip. 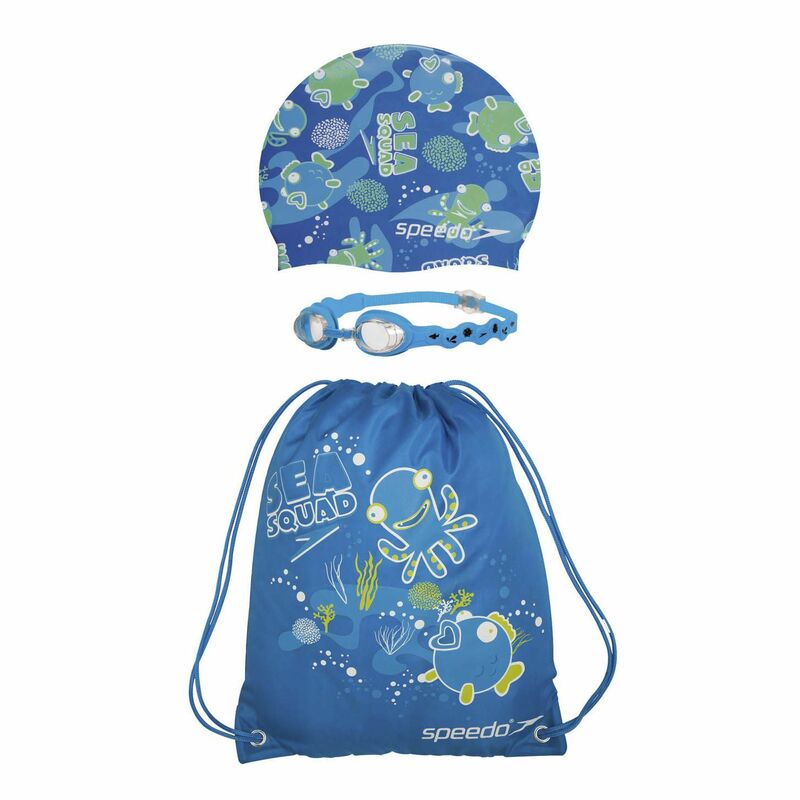 The Speedo Sea Squad Pool pack is an absolute must-have for junior swimmers. Silicone frame and integrated seal design for enhanced comfort and durability. Adjustable nose bridge on goggles to fit various face shapes. 100% silicone swim cap for comfort and fit. Polyester wet kit bag with PU coating. for submitting product review about Speedo Sea Squad Pool Pack.